ARLINGTON, Va. — The National Association of Chain Drug Stores Foundation plans to honor Umair Shah, M.D., M.P.H., who was instrumental in the Houston hurricane response and recovery efforts, at next month’s NACDS Foundation Dinner. 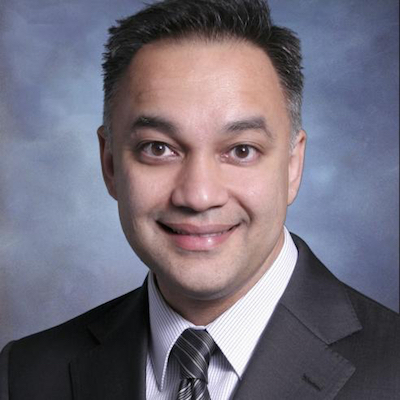 The NACDS Foundation said Shah, executive director and local health authority for Harris County Public Health (HCPH), will be presented with the 2017 Excellence in Patient Care Award, the foundation’s highest honor for health care professionals. The 19th Annual NACDS Foundation Dinner will be held Nov. 29 in Manhattan. During the devastating floods in Houston caused by Hurricane Harvey, Shah and his team demonstrated extraordinary public health service to the 4.5 million people in Harris County, the nation’s third largest county in the nation, NACDS noted. Under his leadership, HCPH also initiated public-private partnerships to prevent disease — including Zika virus and tuberculosis — through emerging technologies. This fall, Shah’s department also launched a fleet of large, recreational vehicles, including a mobile medical unit, a mobile dental unit, a mobile mosquito museum, a nutritional assistance unit, an environmental health unit, a mobile pet adoption unit and a mobile command center to bring his organization’s services into the community. HCPH also initiated a Public Health Innovations Lab (PHI Lab), which provides a unique space to grow, develop, expand or sustain an innovative idea in a 12-week long accelerator program. Shah also serves as president of the National Association of County and City Health Officials (NACCHO). Last year, NACCHO recognized HCPH with its Local Health Department of the Year Award.